I first worked with Carla several years ago, when she appeared in a SONY product video I directed, and I never forgot her face. While researching homeless, women veterans, a recurring theme emerged about women who are “not the typical face of homelessness,” and Carla came immediately to mind. 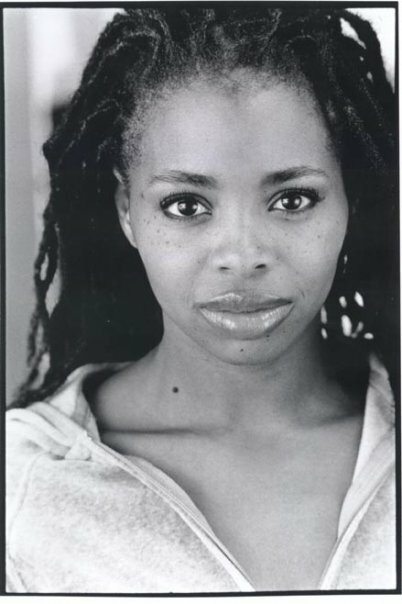 The friends who’d introduced us, actors themselves, had told me how multi-talented Carla is; and as luck would have it, she just completed a tour in a Pulitzer Prize-winning play called Ruined (Lynn Nottage) that had very similar demands to those required for this film. At our first official meeting for this project, I discovered that, without formal training in the discipline, Carla is a natural method actress. Her instincts are ideal for film; and athough gone Elvis is a short, the shoot days will be physically demanding. I’ve heard nearly all veterans echo the idea that you come home from war changed, even your mannerisms are different, and people who knew you before you left don’t understand. I believe Carla’s experience as a dancer will help her create a character whose struggle, even with her own body, will be apparent on screen. As a bonus, Carla sings. She just released her first CD BlackFolkRockStar, and indeed Olivia Sloane sings in her car (don’t we all? ), her voice, at times, being the only company she has. I’m very excited about working with Carla. She and I both want to create a character who is an honest portrait and valid representative of these real heroines we never see. To support this film, click here.